When Jen and I originally began talking through recipes for the Capsule Pantry, one thing became immediately clear: we love Tex-Mex. 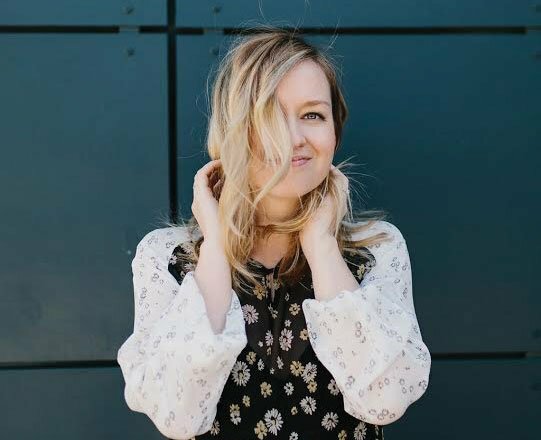 I’m not sure it’s just because we live in Austin either, it’s hard not to love this food group when these dishes bring together both a sense of comfort and also a little spice to each meal. 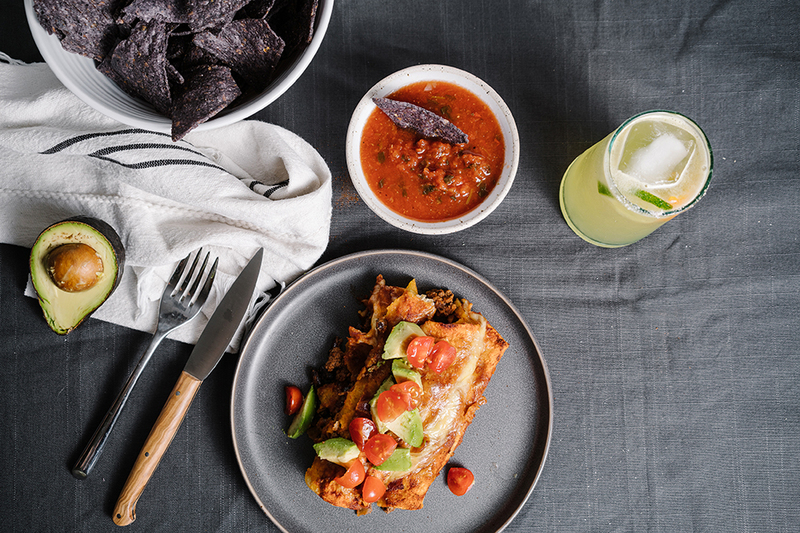 In addition to these easy weeknight enchiladas, I’ve included six recipes that are bursting with flavor but still made with only the ingredients included on our pantry capsule list. You may not want to have all of these recipes in the same week, since they do use a lot of the same ingredients from our Capsule Pantry but they do all have unique flavor profiles even with similar ingredients. 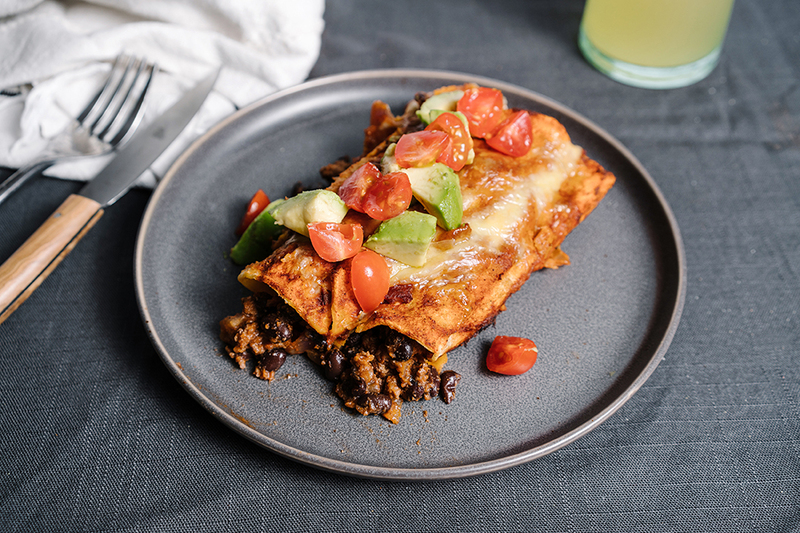 We shot and featured my Easy Enchiladas which are seriously so good, but don’t require a store bought sauce or a ton of time. We also included recipes for Burrito Bowls, One Pot Tacos, Tortilla Soup, Breakfast Tacos and Huevos Rancheros, maybe it’s a texas thing, but these dishes make my mouth water as I type them. 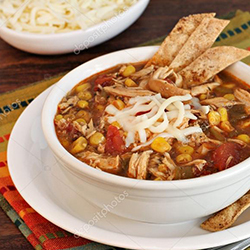 Tex-Mex is a fusion of Mexican and American cuisines. As people settled in Texas, the popularity of Mexican food grew, mostly due to the fact that we’re neighbors. As people began to love Mexican food, they started to try to make it in their own kitchens, but with one major change, using the ingredients they had on hand that were readily available in Texas. Fast forward to today and there are a few key ingredients that distinguish Mexican food from Tex-Mex, mainly because they are not found or commonly used south of the border: beef, yellow cheese, wheat flour, black beans, canned tomatoes, and cumin. 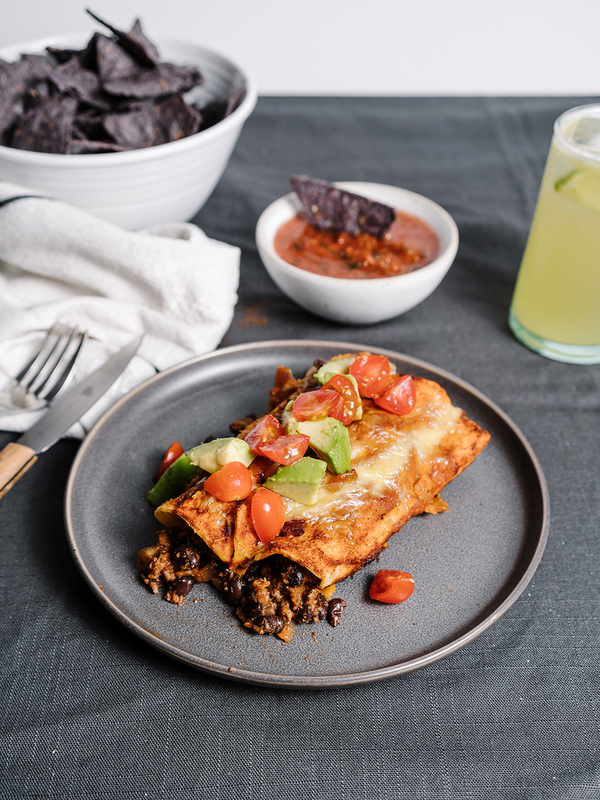 Without this spin on a traditional food we wouldn’t have these delicious dishes like beef enchiladas nor would we have the magic that is Tex-Mex. 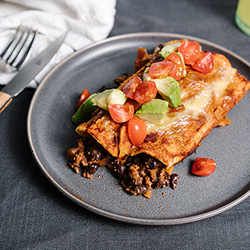 Part of our Pantry Capsule series, these easy enchiladas are packed with flavor and made with ease! In a saucepan over medium heat add stock, tomato sauce, spices and salt & pepper for 2-3 minutes and then simmer on low. Reserve 1½ c for topping the enchiladas. In a saute pan heat oil over med-high heat, add onion and cook for 2-3 minutes, then add garlic and saute for 2 more minutes. 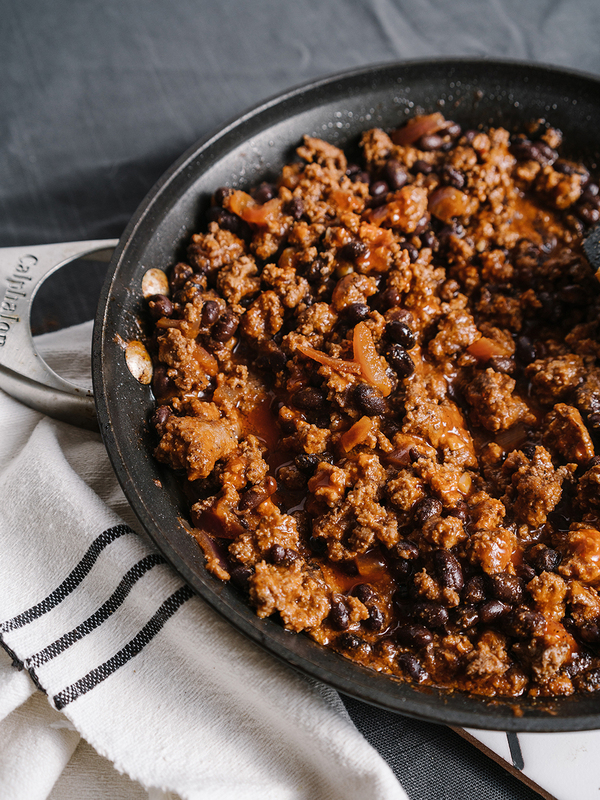 Add meat and cook through, add black beans and mix well. Pour remaining sauce on meat, combine well and turn off heat. 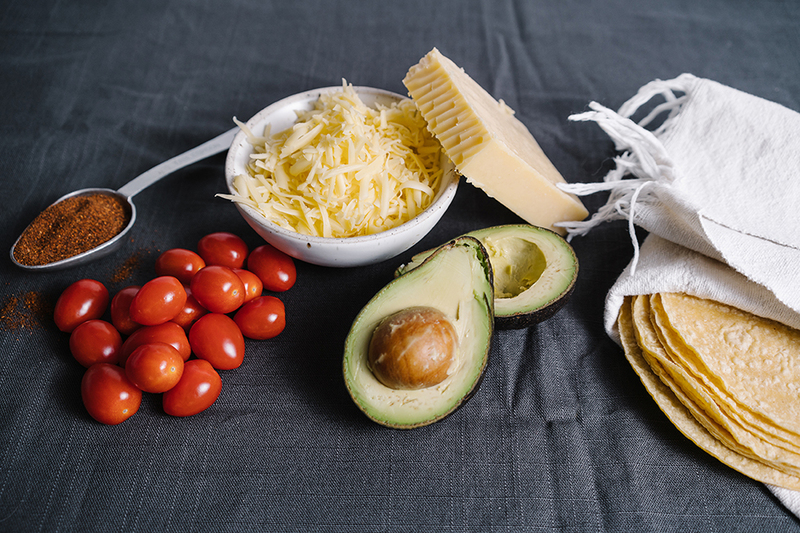 Wrap in paper towels, heat tortillas for 30-45 seconds to soften. 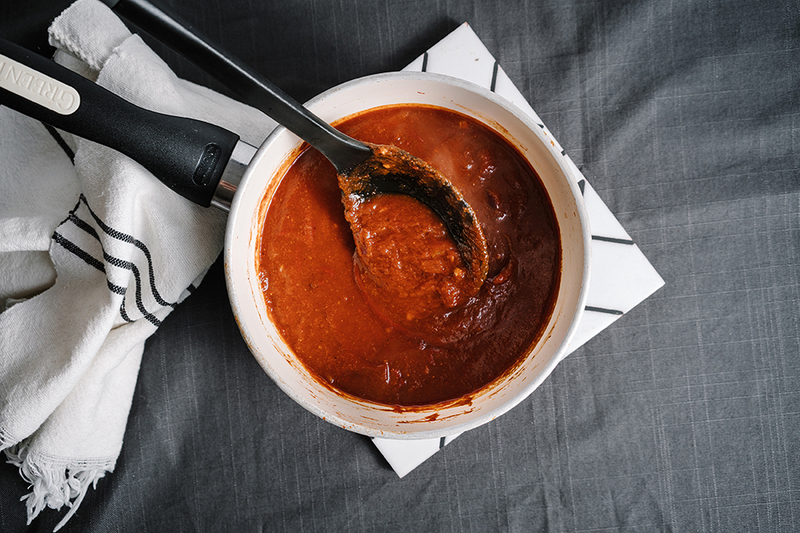 Spread a spoonful of sauce on the bottom of a 9”x12” pan. Fill tortillas with meat mixture close the seam at the bottom, side by side (you can add some cheese inside with the meat mixture if you wish, I didn’t because we are low dairy). Pour remaining sauce over enchiladas, use the back of a spoon to spread if needed. Sprinkle with cheese. Serve topped with tomatoes, avocados, and greek yogurt. *Vegetarians can use 1½ c couscous or quinoa as a meat replacement. Easy and filling, these Capsule Pantry burrito bowls are perfect for a week night meal or to cover lunches for the week. In a large saucepan of 1½ cups water, cook rice, (or quinoa) let cool then stir in salsa, set aside. In the same pan add chicken and chili powder and cook through. Divide rice mixture into serving bowls, top with sweet potato, chicken, avocado, corn, black beans, tomatoes, and cheese. *Use chili powder on potatoes if not using a meat. 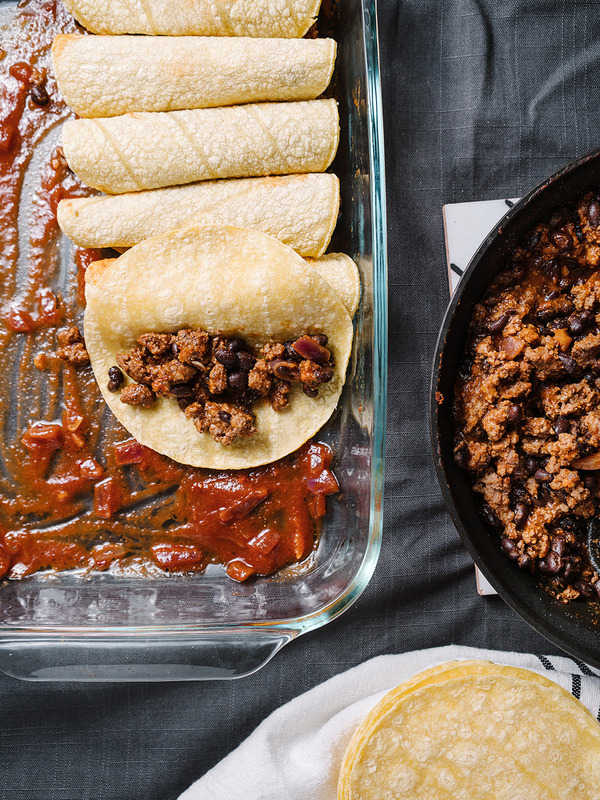 A simple week night meal packed with tex-mex flavor using simple ingredients from our Capsule Pantry. In a small food processor/blender (or you can simply use the back of fork if you don’t mind it chunkier) add beans, garlic, cumin, chili powder, 1 tbsp of oil, a pinch of salt and pepper. Mix or mash until well blended, set aside. Heat a small saute pan with 1 tbsp oil on medium high, add tortillas to oil and cook until slightly browned. Set aside. In the same skillet crack your egg (if you’re experienced at frying eggs feel free to go ahead and do as many as you can fit at once). As the oil gets hotter you’ll see it start to change the color of the eggs. If the oil starts to spit it’s because it’s too hot, so turn the heat down. Cook until the tops of the whites are set but the yolk is still runny. 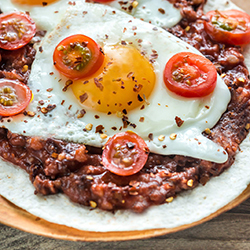 Spread the bean mixture over a tortilla then add salsa and top each with an egg. Add a bit more salsa, top with fresh tomato, cilantro, and avocado. Sprinkle a bit more salt (if needed) and crushed red pepper to taste. Easy Tacos from our Capsule Pantry series. Throw these together for a filling lunch or a quick dinner. Bring oil to medium-high add chopped onions cook until translucent. Add meat in skillet over medium heat about 8 minutes, stirring occasionally, drain if needed. Add salt, pepper, garlic, and chili powder. Stir salsa into meat. Cook for 5 minutes on low, stirring occasionally. If using, add corn or black beans and warm for 2-3 minutes. Heat tortillas in microwave for a few seconds. Serve tacos with meat mixture, tomato, avocado and cheese. The easiest tortilla soup, made from our Capsule Pantry list. Flexible, dairy free and you can even throw it in the crock pot! Preheat oven to 375 degrees, line a baking sheet with parchment paper spread tortilla strips, drizzle with olive oil, sprinkle with kosher salt, toss with hands to coat evenly, and bake for about 15 to 18 minutes, or until crisp and lightly golden brown; set aside. To a large stockpot, add 2 tablespoons olive oil and heat over medium-high heat to warm. Add the onion, jalapeno, and sauté for about 4-5 minutes, or until vegetables begin to soften. Add garlic and sauté for 1 to 2 minutes. If using meat add and cook through. Add the chicken broth, tomatoes, beans, chicken, corn, chili powder, spices, and bring to a boil. Allow mixture to boil gently for about 5 to 7 minutes. Taste soup and add salt to taste. Serve topped with avocado, tortilla strips, fresh cilantro and shredded cheese. This can absolutely be done in a crock pot as well. Simply do steps 1-3 in a saute pan and the rest in the crockpot. Low for 4-5 hours, or high for 2-3 hours. These are not just for breakfast– these make a quick and delicious meal for taco tuesday and taco any day! I never knew these were a thing until I moved to Texas and now I’m unsure how I lived without them for so long. Crack eggs in a bowl add salt and pepper. Cook bacon if using and set aside. Heat oil (or use bacon grease) in a saute pan over medium heat, pour scrambled eggs in pan. Stir constantly about 4 minutes until scrambled. Warm up your tortillas in a paper towel in the microwave for 15-20 seconds. Those ENCHILADAS look so good!! 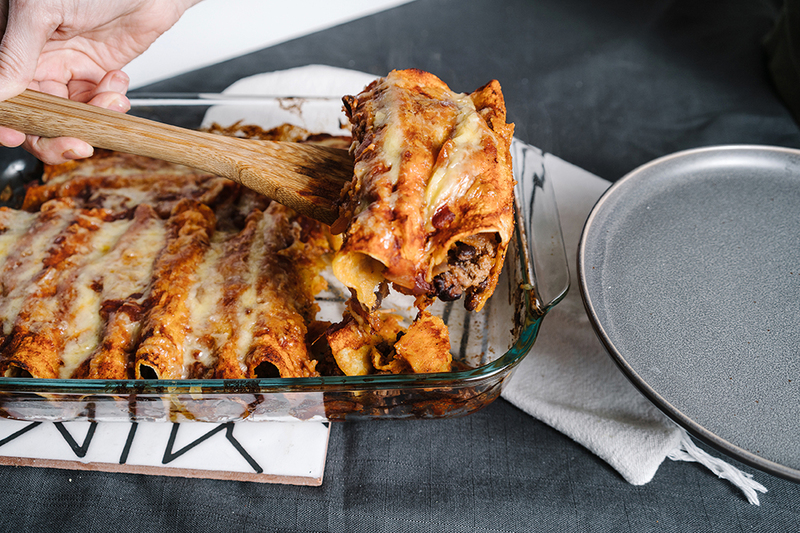 I made these enchiladas and they were delicious, QUICK, and easy! I’m adding these to my monthly meal planning rotation for sure.